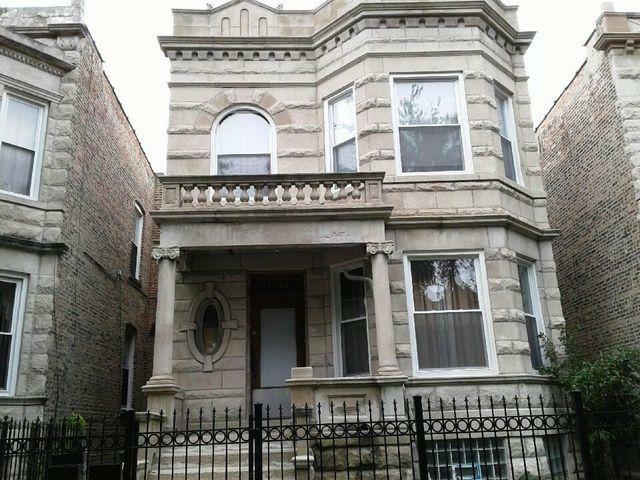 Jumbo 2 Flat greystone in West Garfield Park sitting on an oversized lot (29 x 138). Featuring 3 and 4 bedroom apartments. Upgraded kitchens and bathrooms in 2016. Separate living room, dining room and den with pocket doors, built in hutch, refinished hardwood floors and new windows. New furnaces. All around tuckpointing. Unfinished basement. Being sold As-Is. Listing provided courtesy of Betancourt Realty.